In the wake of economic and planetary crises, more and more people are reconsidering their role in the economy and wondering what they can do to make it work better for people and the planet. 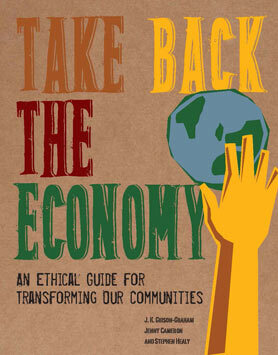 Take Back the Economy explores what we can do right now, in our own communities, to make a difference. Full of exercises, thinking tools, and inspiring examples from around the world, Take Back the Economy shows how people can implement small-scale changes in their own lives to create ethical economies. There is no manifesto here, no one prescribed model; rather, readers are encouraged to take back the economy in ways appropriate for their own communities and context, using what they already have at hand. In so doing, Take Back the Economy demonstrates that the economy is the outcome of the decisions and efforts we make every day. Take Back the Economy is the single most farsighted and practical work enlightening us on the path to a steady transition towards a genuine postcapitalist world. It is based on the presupposition that reorienting the economy means much more than the control of production—it means reinventing ourselves, our communities, and our world in profound ways. Out of this act of 'reframing' there emerges a novel understanding of work, enterprise, market, property, even finance. In this wonderful new work in the tradition of Gibson-Graham, students, activists, movements, and communities will find a toolkit for ethical and effective action any time, any place.